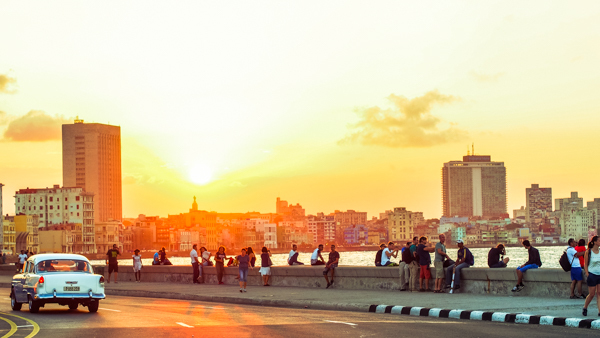 Whether you’re into salsa dancing, learning about Communism or perhaps just smoking some of the world’s best cigars, Cuba is the place to go. Being the biggest island in the Caribbean it’s got more amazing places than most cheap backpackers have time to see. 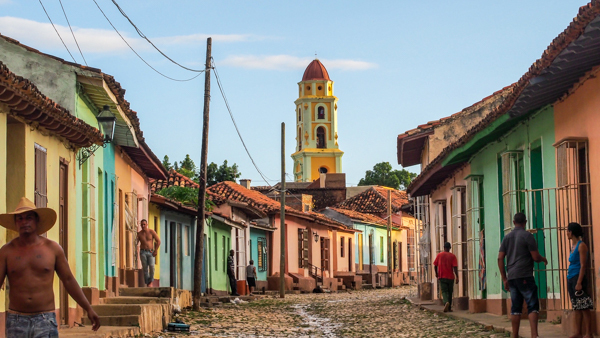 From paradisiacal beaches over lush green valleys to colonial towns, Cuba has got it all. Looking for in-depth information about backpacking in Cuba? Check out our complete Cuba Backpacking Guide for everything you need to know about things like cost, accommodation and where to have the best mojito! 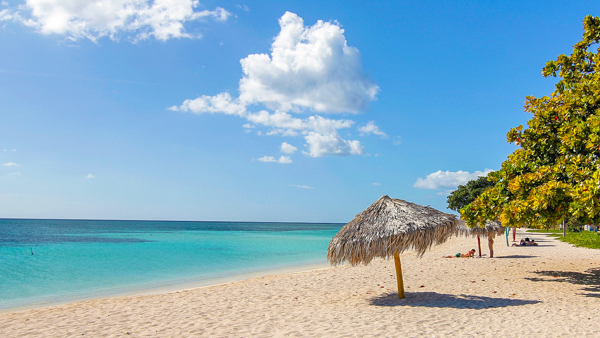 All Cuban beaches are gorgeous per definition but we prefer Playa Ancón because it’s less crowded than resort giants like Varadero and Guardalavaca. You still get the white sand and crystal clear water but you don’t have to share it with hundreds of other tourists. Although far from being off the beaten track, Playa Ancón is a cool place to kick back for a few days. If you need a break from tanning and sipping Cuba Libres the scuba diving and snorkelling is really nice in the area. Only a 40-minute bike ride from another favourite of ours, Trinidad, it’s an easy day trip destination. If you prefer staying near the beach there are casas particulares in the nearby villages of La Boca and Casilda. We enjoyed Trinidad because of its colonial charm and green surroundings. Watching the afternoon sun bathing the cobblestone streets in a warm, golden light is still one of my best memories from Cuba. Everything is pleasantly slow here and locals often just sit on the doorsteps of their brightly coloured houses watching life go by. Trinidad is also a good place to see some nature. You can do day trips to both the beach at Playa Ancón and into the lush Valle de Los Ingenios where you can visit old sugar mills from Cuba’s glorious heyday. After a big day of being out and about you should head to the steps next to the Casa de la Música, order yourself a nice Cuba Libre and marvel at the sweet salsa moves on the dance floor. Oh, and one more thing – we had the best meal of our entire Cuba trip in Trinidad! The city is a bit of a gastronomical paradise for backpackers that are tired of eating cheap pizza and pasta every day. Splurge and treat yourself to a delicious meal for $8-15 in one of the many good restaurants around Plaza Mayor. The idol of Cuba, Che Guevara! Historical Santa Clara is mostly famous for being Che Guevara’s final resting place. 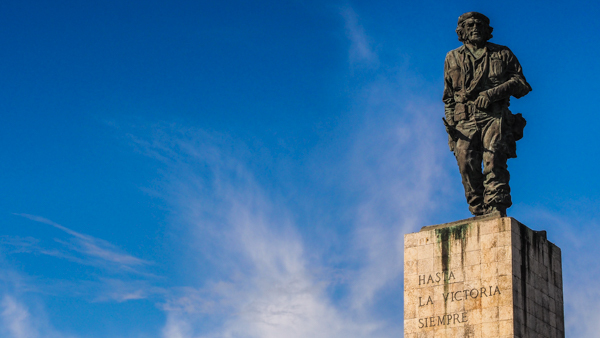 Although a visit to Mausoleo de Che Guevara is a must-do, we think Santa Clara is one of the best places to visit in Cuba for a different reason. That reason is called Club El Mejunje and is by far the coolest, most edgy bar we came across on the island. Fighting for LGBT rights since the 1980s, the place has an unpretentious bohemian vibe to it and hosts all sorts of cultural events. It’s set in a ruined warehouse and depending on when you go you can see anything from a children’s play to a rock concert. One thing is certain, though; Saturday nights are gay disco night which I personally think sounds absolutely glorious. We caught a concert with a Cuban punk band on a random week night. The ticket was around $1 and we met a bunch of awesome locals that kept buying us rum all night. If that’s not a perfect night for a cheap backpacker, what is? It’s a close race here at the top of the list but Havana loses points for being overrun by tourists. Don’t get me wrong, Havana is spellbinding and must not be skipped. With all its museums (special mention to Museo de la Revolución) and historical buildings it’s also Cuba’s most metropolitan city and the best place for sightseeing. On top of that Havana is simply Havana, stuck in time and unlike any city we’ve ever been to. Our favourite thing to do was to stroll down the boardwalk known as El Malecón. We’d pick up some cheap rum on the way and sit watching the locals promenade by which was an excellent way to spend the afternoon. So, as you can hear, Havana is definitely worth a few days. However, as much as we enjoyed being there we eventually got a bit tired of running into tourists everywhere we went. Less than three hours from Havana you find the soothing oasis of Viñales. 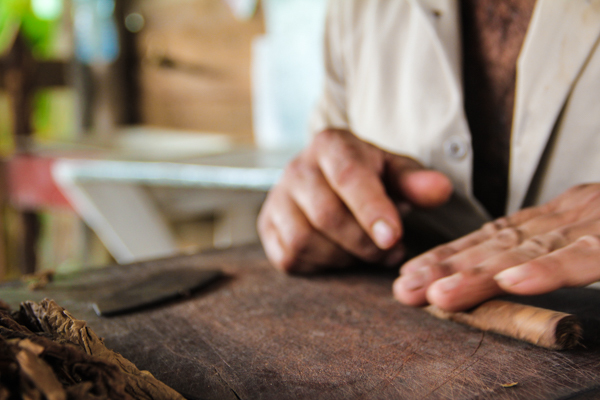 The town itself is quite charming but what really makes Viñales unique is its traditional tobacco plantations. Scattered in the lush green hills that surround town, many of these plantations still use century-old methods and make for a super cool day trip. The best way to visit the plantations is by renting a horse and guide for the day. We paid around $20 between the two of us to cruise around a whole day, learning how to roll cigars at one place and drinking the best mojitos we’ve ever tried at another one. Other places to visit in the Viñales area include two caves called Cueva del Indio and Gran Caverna de Santo Tomás.